The Society contributes mainly through the Conservation Advisory Group, which meets bi-monthly, and includes representatives from Planning at Hambleton District Council, County Planning and the Parish Council. Planning applications are reviewed and conservation issues discussed. Providing information on sources of advice. A leaflet is being prepared together with a box of relevant publications to be kept in the Reference Library. Encouraging residents to consult before proceeding with changes or planning applications. The Conservation Area is described in our publications. 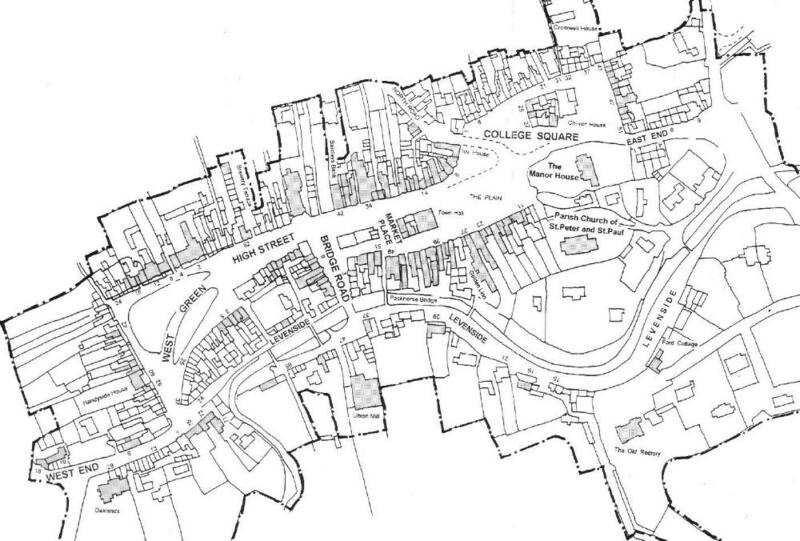 The boundary of the Conservation Area is shown on the map of Stokesley - click for map. For a Hambleton District Council Assessment of the Conservation Area produced in 1998 please click here. For a really excellent Hambleton District Council re-appraisal of the Conservation Area produced in 2010 please click here.